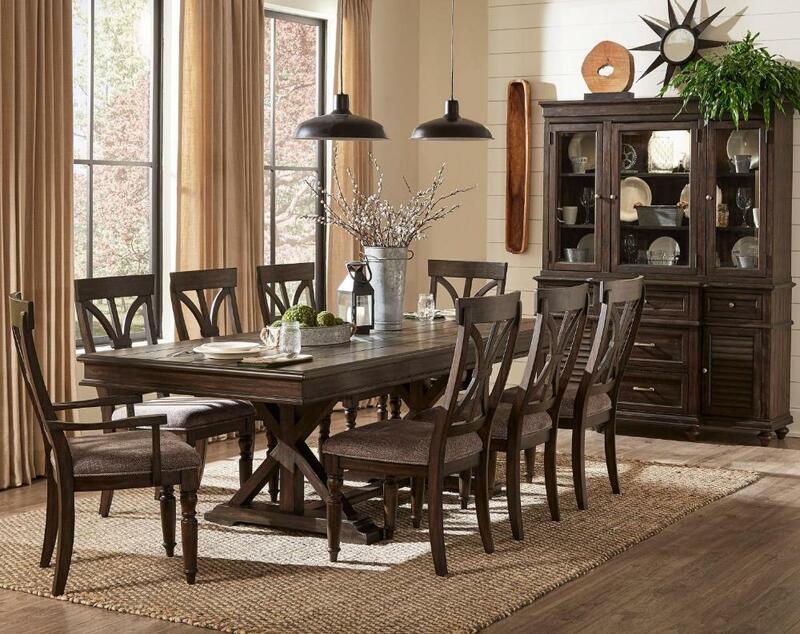 The solid transitional styling of the Cardano Collection, creates an impactful design presence in your dining room. Utilizing distinct accent techniques - plank effect, rasping, saw marks - and pairing them with traditional framing and a rich finish - driftwood charcoal over acacia solids and veneers, creates a collection that is worthy of your dining room. Two available tables allow for perfect placement within your space - 96-inch rectangular, double pedestal, trestle base table and a 54-inch round pedestal base table. Pewter finished hardware mounted on the functional drawers and doors of the china and server, provide subtle contrast to the wood's dark finish. The behind glass door shelving of china top, allows for convenient and unobscured access to your decorative tabletop accessories, while the buffet server, with it's wood doors and drawers, serves dual purpose as the china's base or as a stand alone sideboard. 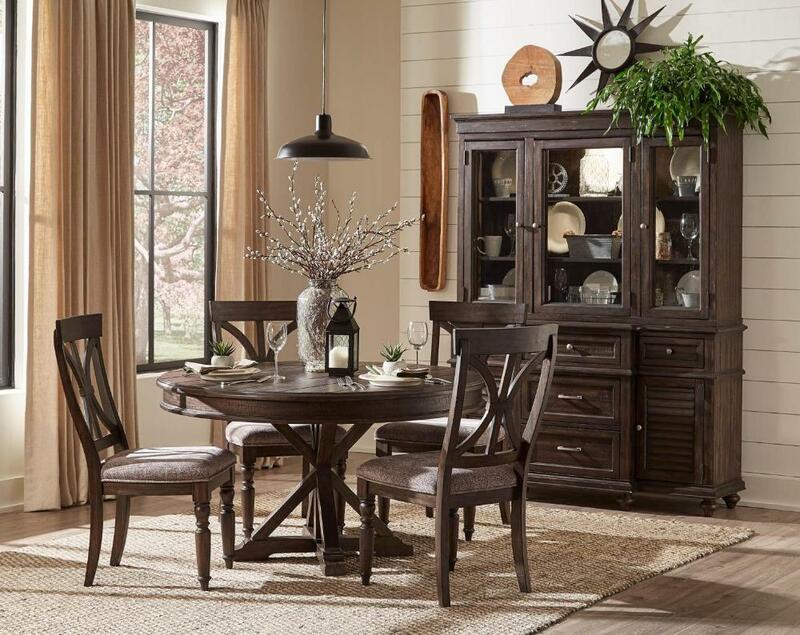 FEATURES: Driftwood Charcoal Finish ~ Transitional Style ~ Double Pedestal Trestle / Round Pedestal Table Bases ~ Plank Effect / Rasping / Saw Marks Accents ~ Door / Drawer Storage ~ Pewter Finish Hardware ~ Ball Bearing Side Glide ~ Dovetailed Drawers.